Easy, consistent glue application and effortless cleanup—wet glue rinses away and dried glue peels right off! Tools and pan are needed in any shop. Love it ! Makes my life so much easier!! This item is a dandy to have. I love the fact that when any leftover glue dries all I have to do is pull it off. Works great for applying the glue as well! Great product! I found this to work great as reviewed by others. It is an easy way to spread glue in my multiple projects. Works awesome! Easy clean up , applies glue easily. I was somewhat skeptical when I purchased my first of these kits. 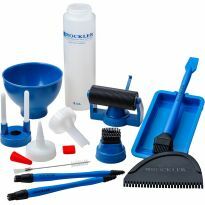 I now have purchased 3 additional kits as well as other Rockler items in this exact line of merchandise. This stuff keeps the production rolling. Enough said? Why didn't I buy these 20 years ago? Oh right, they didn't exist. Well, they're the best thing since Titebond. Great innovation for glue up. I continue to be amazed at how good the parts clean up after drying. This the best investment I've made for my shop. The glue absolutely does not stick to the brush or the tray. I only wish the bristle were a little longer. It's nice when you buy something that supposed to be easy and simple and it actually works great. I received my 3-piece Silicone Glue Application Kit and put it to use right away. I purposely left unused glue on the spreader, brush, and tray to see how well it would come off when dry. The dried glue peeled off as advertised. No problem. Easy peasy! Great way to apply your glue, awesome price and good quality. And they work well, too. The tools work great and glue dries and just pops right off. Love it! This kit was super helpful in both large sheet glue up and detail edge work. Glue is easy to remove from all items after drying. Less mess and much reduced squeeze out from glued surfaces. 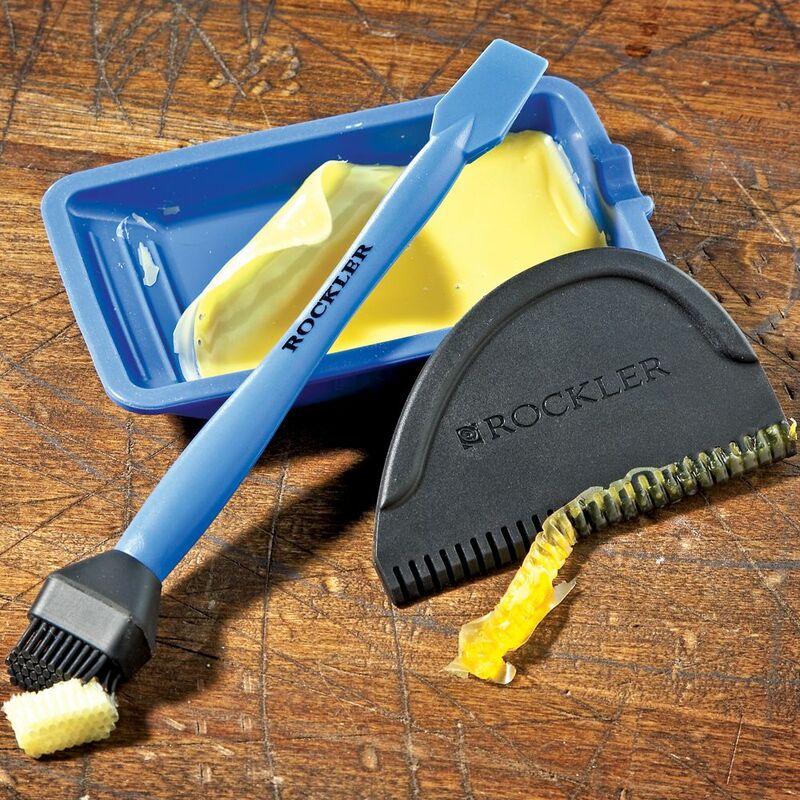 Very Handy - Clean up is easy! I saw this at the checkout at Rockler and the assistant at the store raved about it. I bought a set and I don't regret it. Works great on my glue ups and the clean up is so much easier. 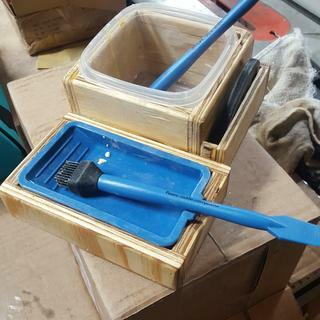 For years I've been pouring glue into, onto and around all sorts of scrap and paper products, now I have an re-usable set-up that is easily cleaned. 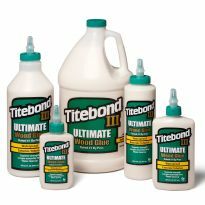 This works great for epoxies, even those specifically for use on plastics. The dried epoxy just peels off. I use it with the silicone mat for further protection. Funny, the critical need for these tools came up upon their arrival. We had a rush repair project that came up the day after the kit arrived. We were so happy to have these tools on hand when the need arose. When I got my silicone glue kit in the mail I was very skeptical because it felt like the silicone bristles on the brushes would break off as soon as I tried to peel dried glue off of them but I was pleasantly surprised by how strong they actually were. So far I've used the glue brushes and tray for four different glue ups and I have yet to be disappointed. The paddle spreader was a big help when I was laminating 32”x38” plywood panels. Dave Peterson: I found white glue easy to apply or spread with the brushes. After the gue has dried it peals off the brushed and pan. Cleanup is very easy. these are a must. you can spread glue easily. don't bother to clean them and when the glue has dried hard you can just break it off so easily. cool. Amazing! My cleanup has never been quicker. I no longer dread dealing with the aftermath of a glue up. 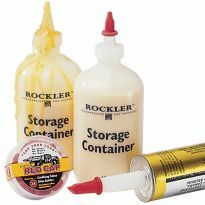 Very easy to use and minimum mess in projects that involve lots of glue and in large time consuming projects. Especially like the spreader in this set. 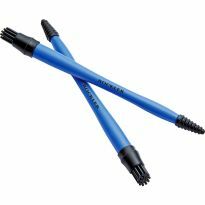 Makes for an even application over a larger area without too much squeeze out. Love this kit and clean up is a breeze! Makes glue-ups of large or small areas easier and clean-up is a snap! Should have bought this years ago. Wow, I love it! Easy clean up! And now I finally can stop wiping the glue with my fingers and then on my clothes. The wife will be happy for sure! These are fantastic. VERY EASY clean up. Its a great tools. Now I use it instead of my finger. Use this for every glue up; has a home in my glue box. Easy to use for glue ups. 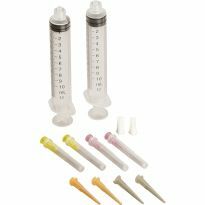 I own more than one of these kits because they work so well. Clean up is easy when glue has dried up. Would recommend. This too has made gluing pieces much much easier. I recently made a laminated trim for a curved bar and the black wide scraper made this significantly easier than a regular brush and the blue brush worked great and the whole set was easy to clean. needed something I can use to dump glue into and be able to clean it up easily after. My set is over 15 years old and the tub looks like it's about ready to rip. I know that I have used it for thousands of projects and it doesn't owe me a thing. Tired of fussing with glue mess, and wasting glue. Hope this makes glue work and clean up easier. we will see if its worth it. Could be just a gadget impulse purchase that was set at my gadget impulse price threshold. I'm tired of using scrap wood, my finger or a hard to reuse flux brush. I already have this kit it works great! I'm replacing the one I had because I used it all of the time. The fact that glue will easily wash off or peel off when dry sold this item. Good references and sale price helped. 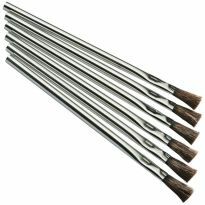 Like reusable glue brush instead of acid brushes. Works like a charm, keeps me clean! I do a lot of gluing and typically use my fingers or a thin piece of wood. These pieces will make my glue-ups go much easier. As others have said, better than my fingers! Less mess with easy clean up. To apply lots of glue. Tired of "glue mess" on my assembly table. Looking forward to seeing how this helps with glue ups and cleanup. 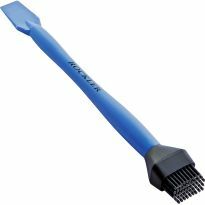 Are the bristles heat resistant to some degree, like silicon kitchen tools? BEST ANSWER: Yes. Heat resistance as well. Not sure to what temperature but they definitely are heat resistant. Don’t know. 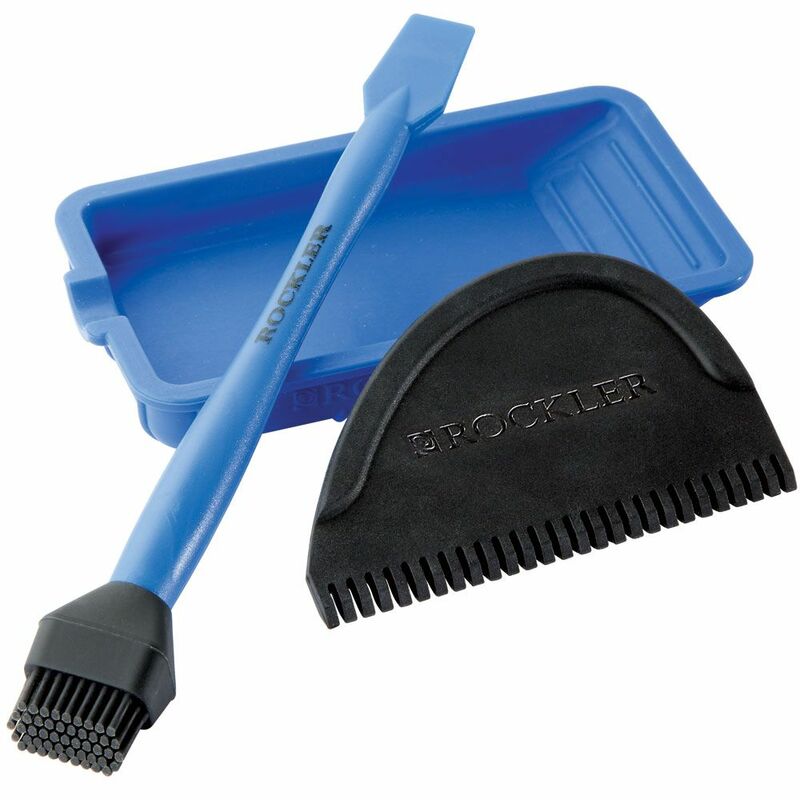 I use my applicator brush with wood glue and not epoxy or two part glues that generate heat when activator is applied. I do not know the answer to this. 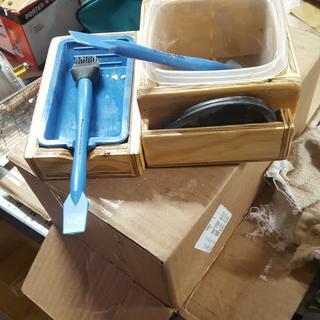 Can you use the kit for than woodworking, like say dabbing the glue on bottom of baseboards??? BEST ANSWER: Yes. The uses for this brush are limitless. Many applications and very easy to clean up. Let the glue dry and then it peels right off. Can you use it with CA glue? I don't know about CA glue, but it works well on regular wood glue.